I need you in my life. This isn’t a kids vs. no kids thing. I just need you in my life because you were my friend at a different time in our lives. When we were friends, we were both young and carefree. I need to remember those times, and I’m sure you do as well. I have my children on my mind, and you have things on your mind also. Tell me about those things. Talk to me about your marriage and your dog. I want to hear it all. I want to hear about how frustrating your boss is or how your husband and you are taking a trip away next weekend. Tell me all of it. I promise I’m not envious. I may only talk about my children, but that is because that is the season I’m in. I’m currently in a home with two children under pre-school age. I will tell you anything you want to hear, but I don’t remember what it is like traveling alone with my husband or spontaneously going out for the night. 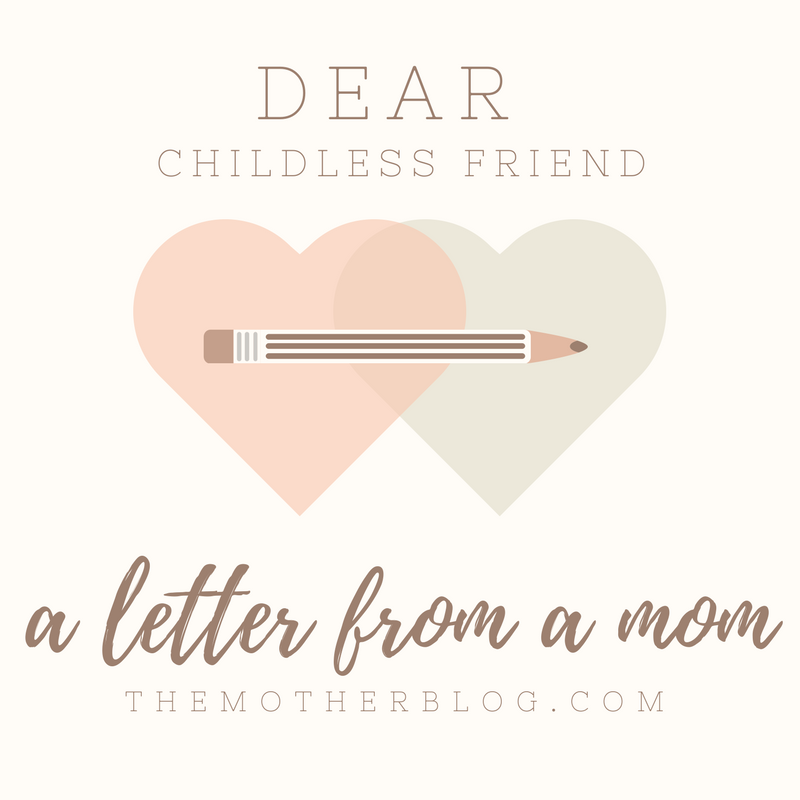 I’ll get there one day, but know that I’m not talking to you about my children to make you feel bad for not having any or to pressure you to step into motherhood. I’m talking about them because that is my life. Friend, you do you. But don’t think that because I have kids and you have none that means I don’t want you in my life. That is far from the truth. I NEED you in my life. I need you in my life because we have always been friends, and nothing will change that. I need you in my life because I don’t care what path you take in life as long as you’re healthy and happy. I have mama friends. They fill my cup up in different ways than you do, but you do as well. Spending time with you is not work or an inconvenience; it’s a joy. My heart is also full when I see you love on my kids. I see you trying so hard to make them smile that I know that you are never going to stop being my friend because you love what is most important to me. I see you trying so hard to make my son laugh that I know I can never let you go. Friend, I see that you find joy in life just like I do. I see that you are proud of your family. I also see that you are tired at times, and you may also occassionally have a glass of wine to wind down at night. I see that you have frustrations and stresses. We can still relate to each other. Next time you need a shoulder to cry on or a friend to laugh with, call on me. We aren’t that different after all. I'm just trying to raise the best little lady and gentleman I can. The Mom Who Blogs © 2017 • All rights reserved.